%%factsheet%%One of the unique diving attractions in the Philippines is the availability of local dive boats or outriggers called ?Bankas?. These comfortable boats are able to get into shallow areas with expert precision, in order to let you enjoy your dive experience to the fullest. Certain dive operations also operate with traditional dive boats and if neither of these options is appealing, there is always the Explorer Fleet Liveaboards to serve your diving needs. We can't say enough about the bio-diversity offered in the Philippines. 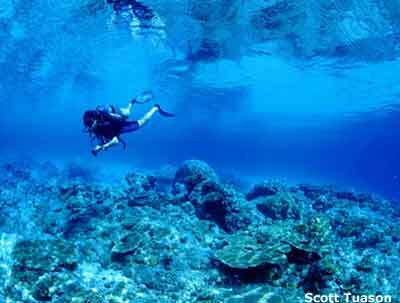 Like most of South East Asia and Macro/Micronesia, the Philippines can offer everything for the Underwater Naturalist to satisfy their penchant. Divers come here from all over the world for certain events such as: the Whale Shark migration in Donsol or the Hammerheads and Manta Rays during the Tubbataha High Season. Another attraction is the farmed garbage dives. These dives offer Ghost Pipefish, Frog Fish and Nudibranchs, which can be found among the debris littering certain parts of the ocean floor. Words are inadequate to describe the aquatic life we haven't talkedabouth the plethora of soft and hard corals, varieties of sea cucumber sea stars and giant clams that are waiting to be discovered. The Philippines is beyond doubt a diamond to be discovered by the adventurous divetravelerr. The warm average temperatures allow divers to experience the underwater world in comfort in as little as a dive skin or when acclimatized, some divers prefer a full 3mm wetsuit. Philippines have a variety of seascape. From the Big Walls of Tubbataha, to the sites with Deep Sea Pinnacles, Shallow Reefs, Blue Holes and Sandy Patches littered with Manta Rays, the Philippines are truly a place for divers! Some 385 species of fish are in residence in the general area, including sharks, stingrays, eagle rays, mantas, tuna and schools of jacks and snappers, as well as swarms of vividly hued reef fish. Lots and lots of turtles! 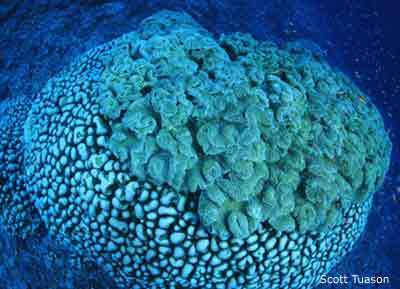 Coral species number around 400-500 and three ships have also been known to have found their final resting place amongst the marine inhabitants of this reef. 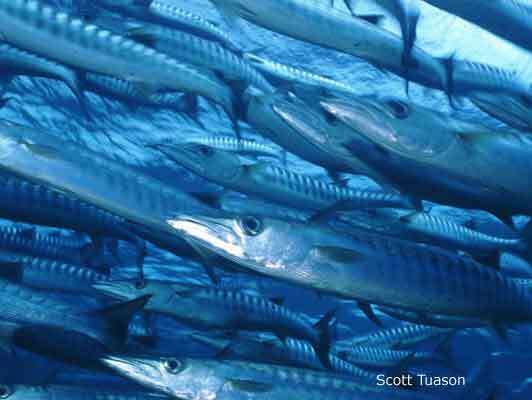 Tubbataha may actually be the largest and one of the top best dive destinations in the Philippine Islands. Everything about this park is large, from leopard sharks, shovel-nosed sharks, manta, eagle rays, tuna groupers and large school of fish.